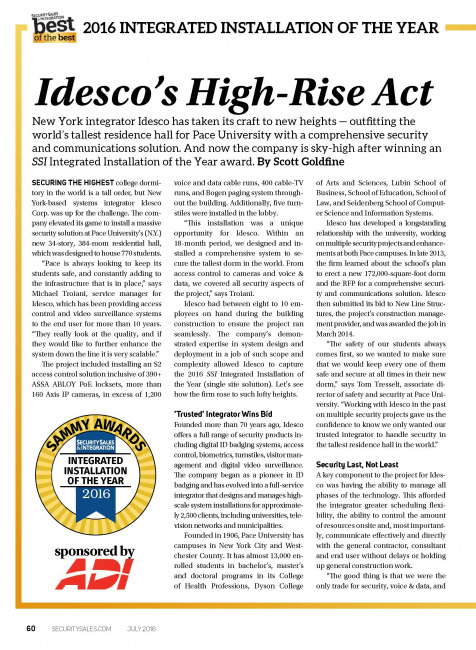 New York integrator Idesco has taken its craft to new heights — outfitting the world’s tallest residence hall for Pace University with a comprehensive security and communications solution. And now the company is sky-high after winning an SSI Integrated Installation of the Year award. 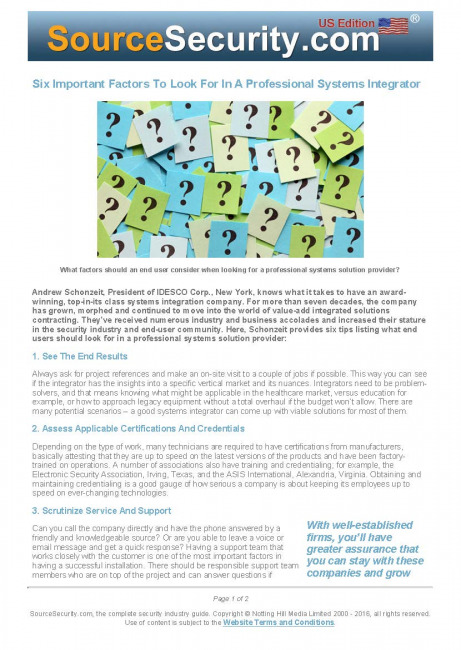 Andrew Schonzeit, President of IDESCO Corp., New York, knows what it takes to have an award winning, top-in-its class systems integration company. For more than seven decades, the company has grown, morphed and continued to move into the world of value-add integrated solutions contracting. 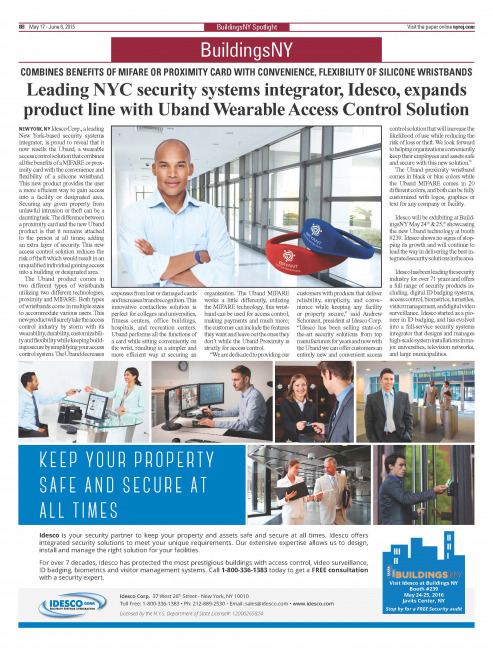 Idesco Corp., a leading New York-based security systems integrator, is proud to reveal that it now resells the Uband, a wearable access control solution that combines all the benefits of a MIFARE or proximity card with the convenience and flexibility of a silicone wristband. 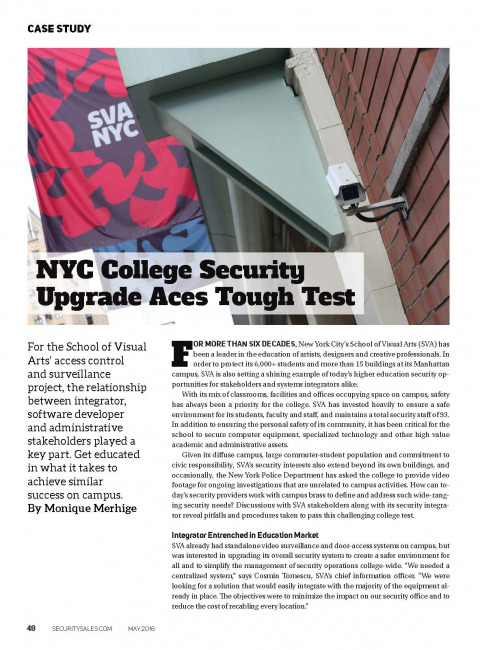 For the School of Visual Arts’ access control and surveillance project, the relationship between integrator, software developer and administrative stakeholders played a key part. Get educated in what it takes to achieve similar success on campus. 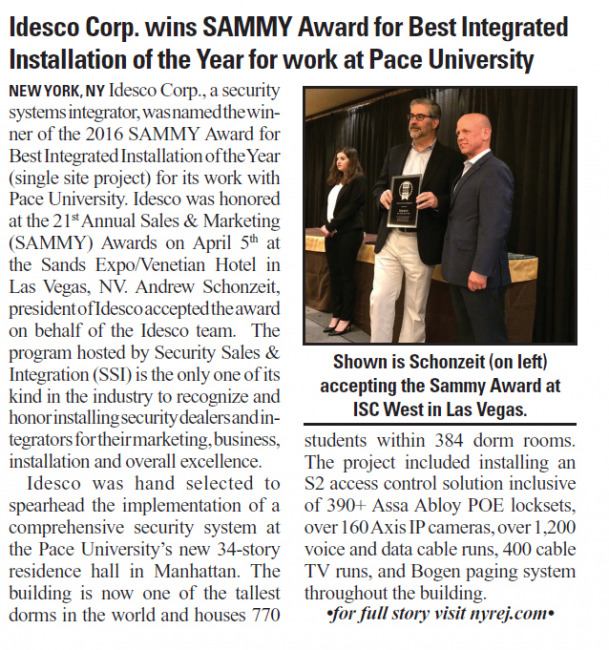 Idesco Corp., a security systems integrator, was named the winner of the 2016 SAMMY Award for Best Integrated Installation of the Year (single site project) for its work with Pace University. Idesco was honored at the 21st Annual Sales & Marketing (SAMMY) Awards on April 5th at the Sands Expo/Venetian Hotel in Las Vegas, NV. 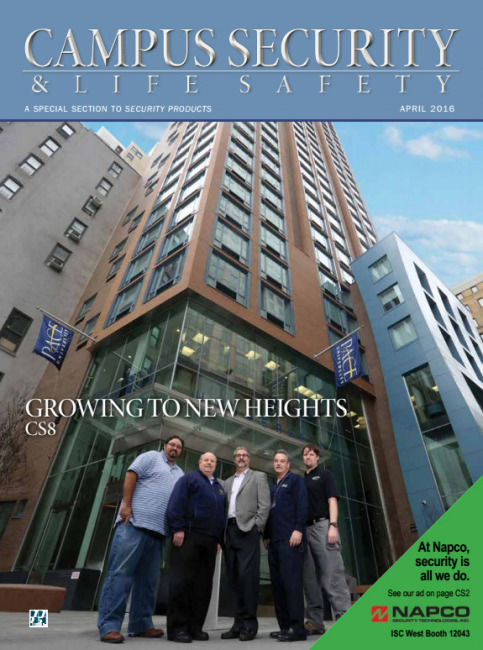 New York integrator secures the tallest campus residential hall in the world and takes security to new heights. Business is booming in higher education, and campuses all around the country are stepping up to the challenge to enhance security. a great example of campus security done right is Pace University.